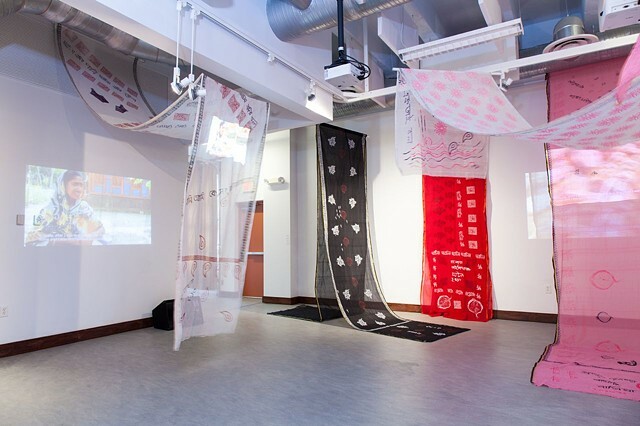 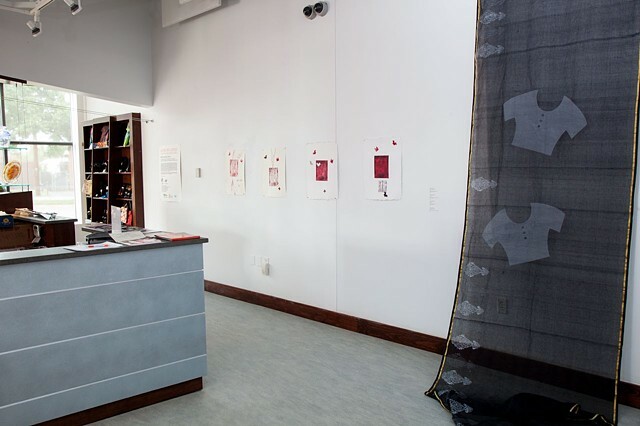 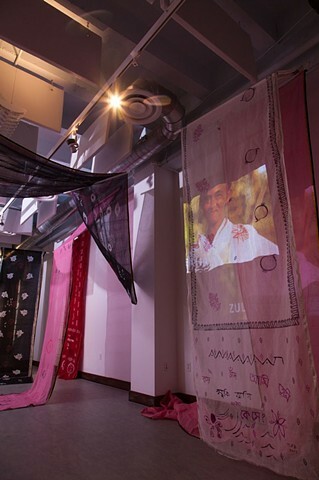 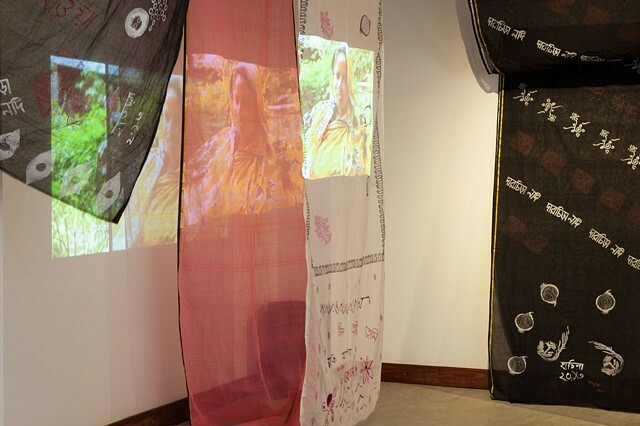 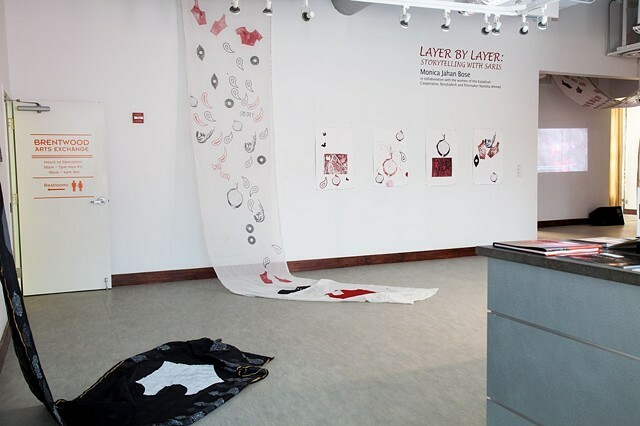 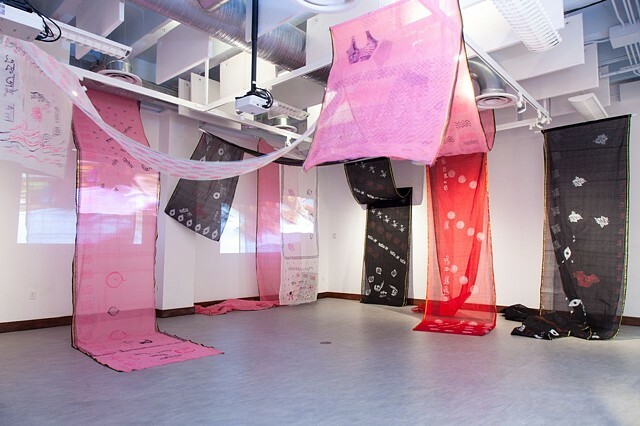 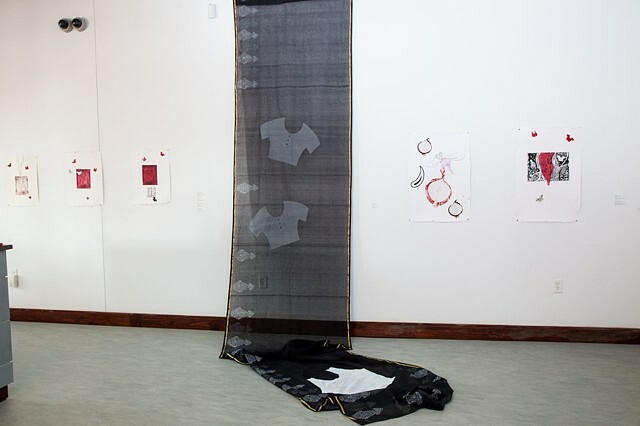 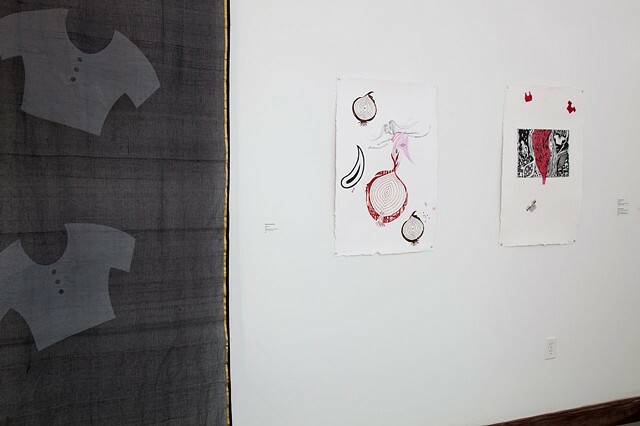 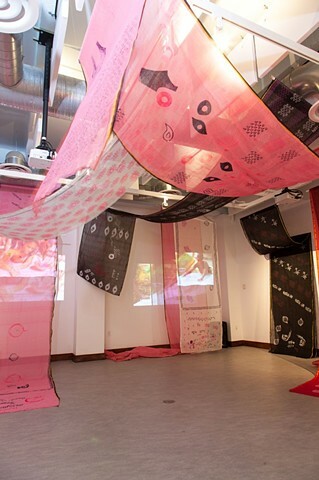 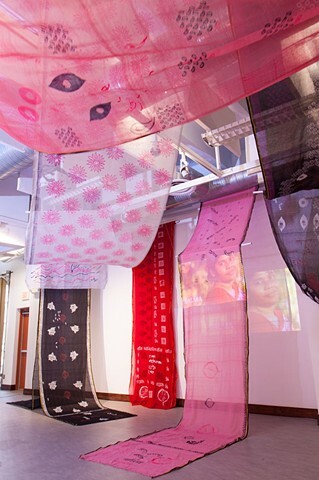 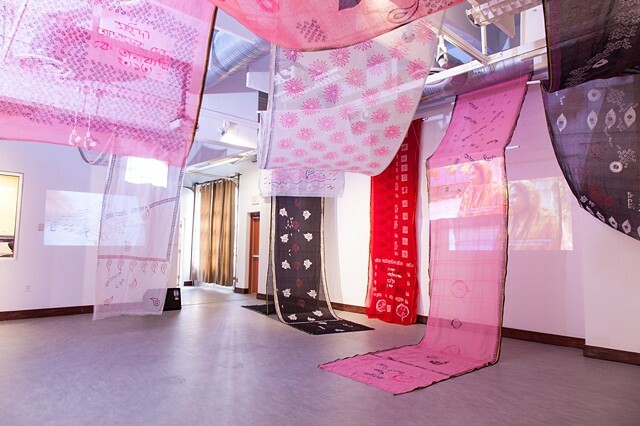 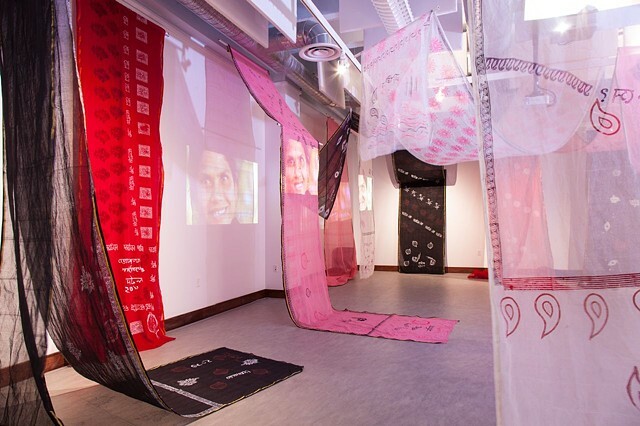 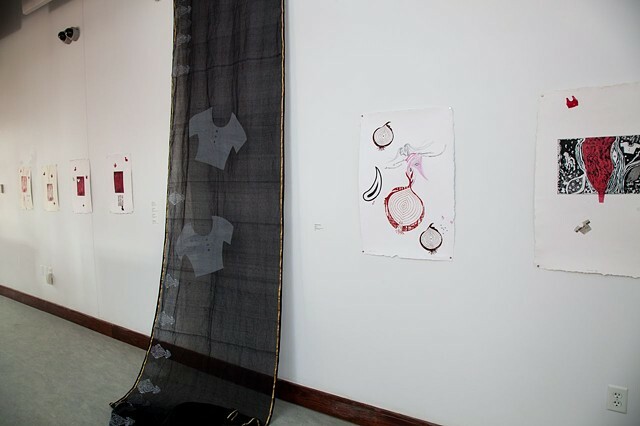 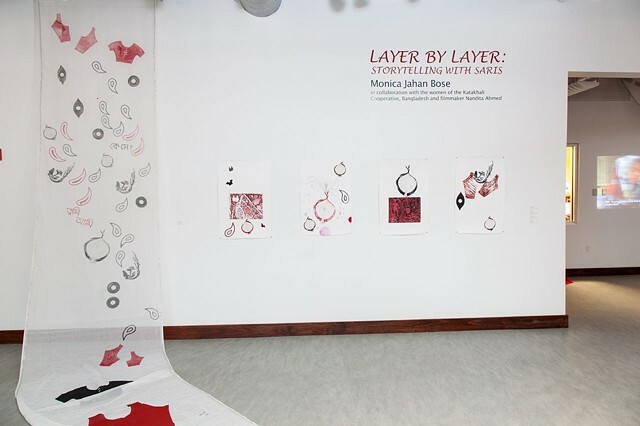 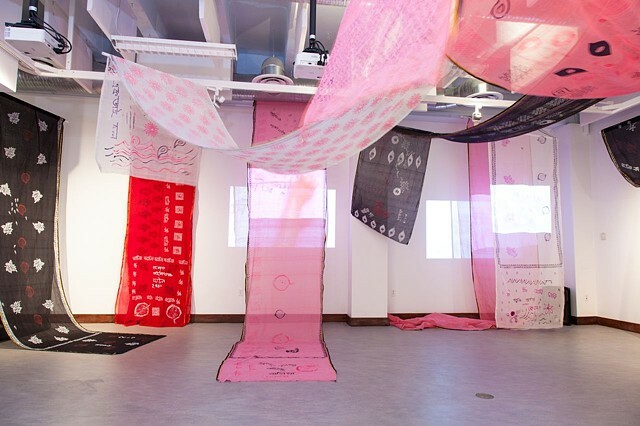 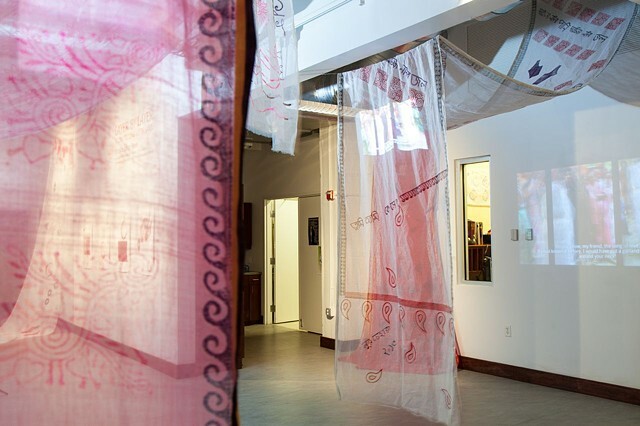 Layer by Layer premieres the ongoing, collaborative printmaking and story project Her Words: Storytelling with Saris, highlighting the achievement of literacy by women in the remote island community of Katakhali, Bangladesh. 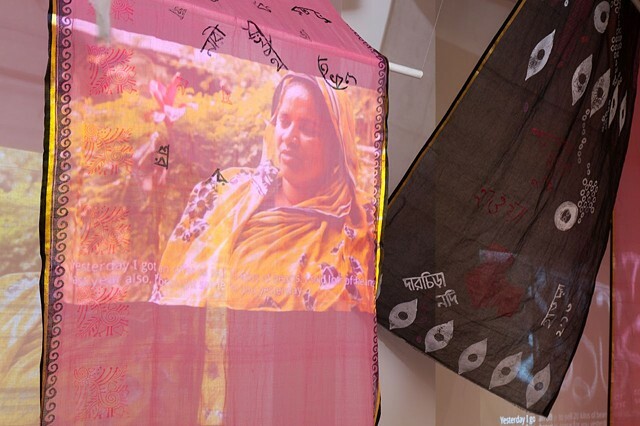 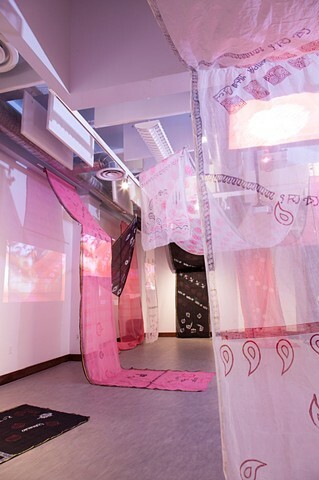 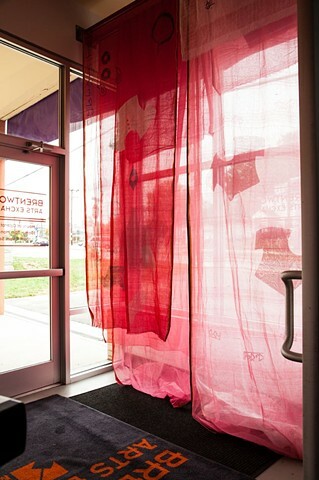 Katakhali is artist/activist Monica Jahan Bose’s ancestral village and part of an eco-empowerment program started by Samhati, a Maryland-based non-profit group founded by Bangladeshi-American women. 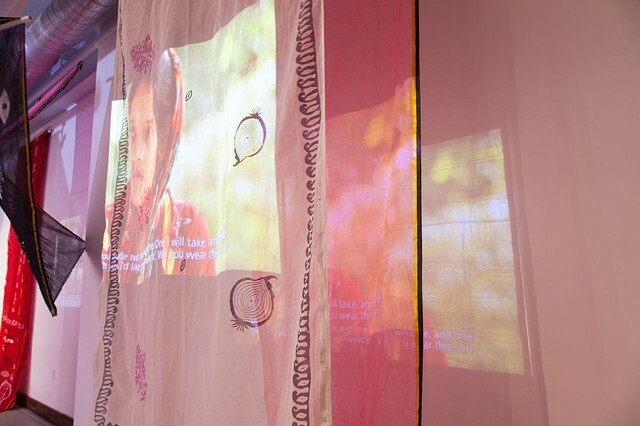 Through Samhati, Bose and her mother Noorjahan have been engaged with the Katakhali program since 2000. 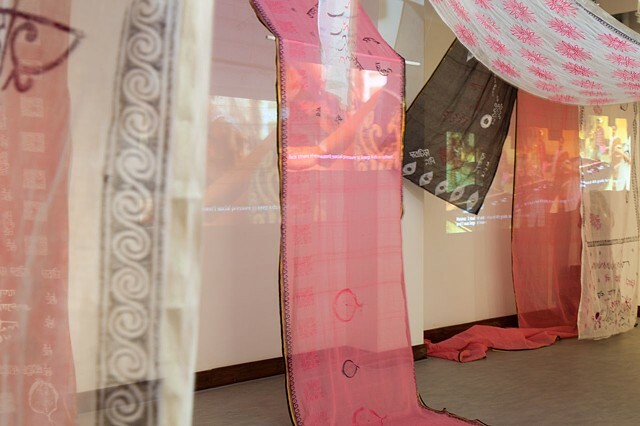 In Storytelling with Saris, Bose collaborates with 12 Katakhali women who have survived successive cyclones, learned to read, and rebuilt their lives as they continue to improve their community. 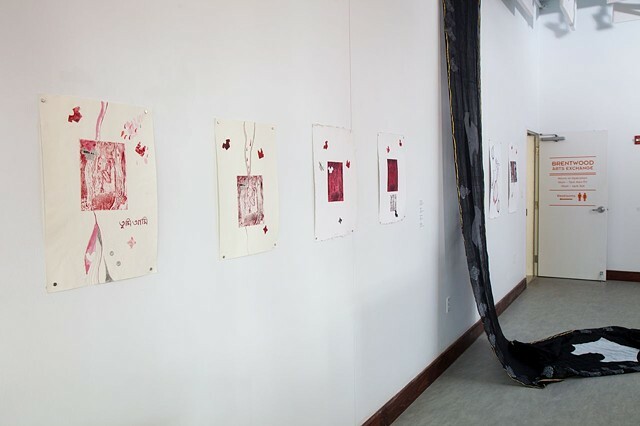 Through this project, Bose expanded her interest in printmaking to learn woodblock printing from the women of her ancestral village. 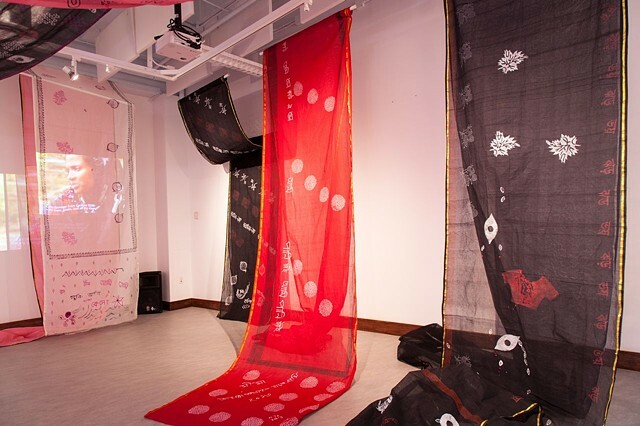 In January 2013, she traveled to Bangladesh to organize writing workshops, create 24 collaborative woodblock prints on saris, and interview the women of Katakhali. 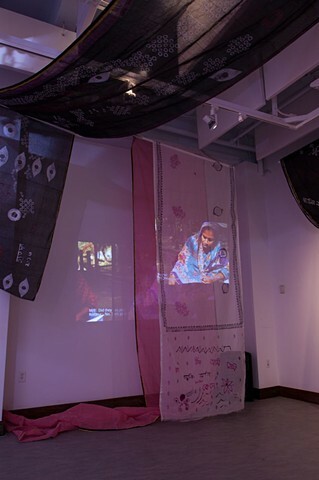 New York-based Bangladeshi filmmaker Nandita Ahmed accompanied Bose to document the project using photography and video including the projections in this exhibition. 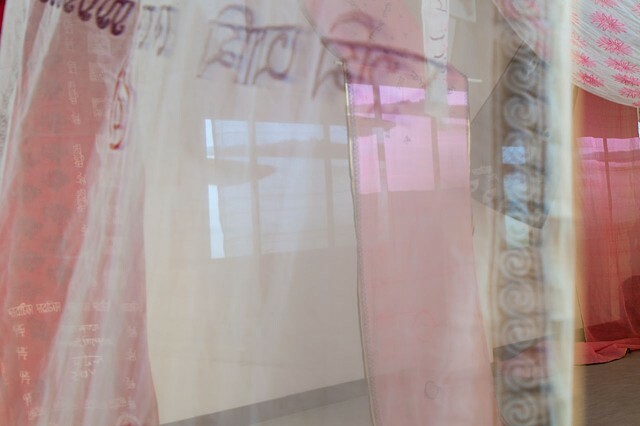 Twelve of the saris Bose and the women of Katakhali created are displayed here as part of a sari and video installation, along with Bose’s prints on paper using many of the same woodblocks. 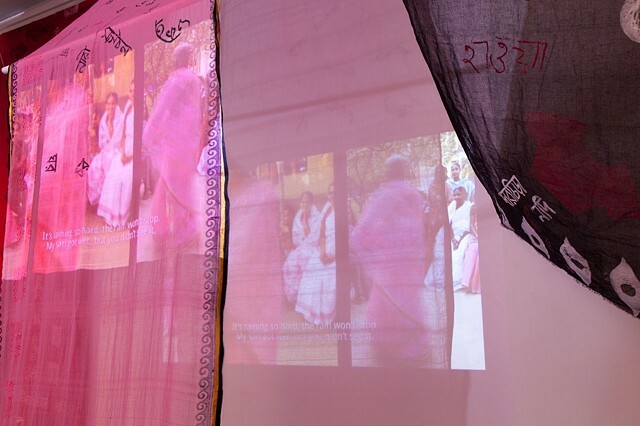 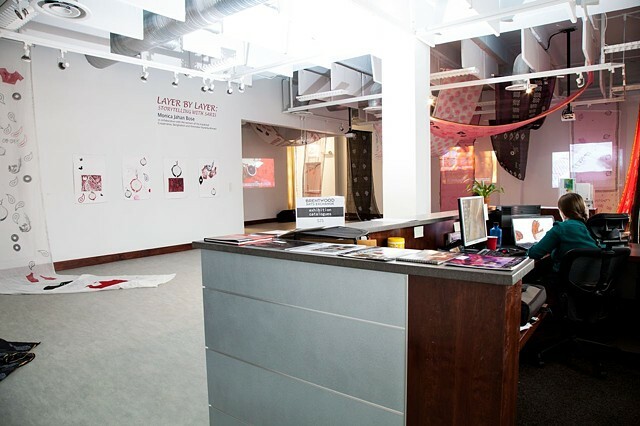 The other 12 saris were kept and worn by the women and will be borrowed for Bose’s performance at the DUMBO Arts Festival on September 28-29, 2013 and the (e)merge art fair from October 3-6, 2013. 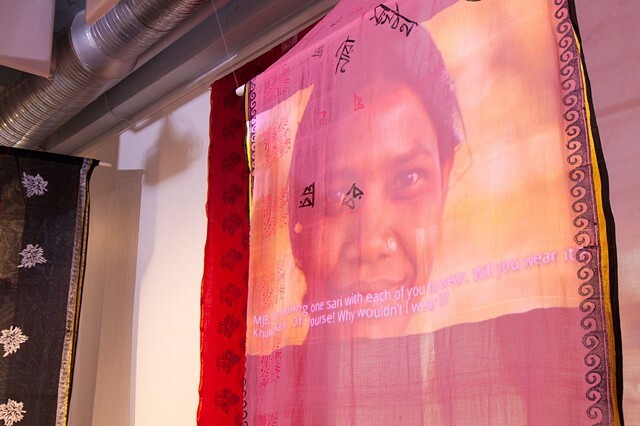 The multi-year Storytelling with Saris project continues with further writing by the 12 women in journals, more sari printing, performances using the saris, and discussions and workshops around the world, presenting the stories of an inspiring community that is impacted by climate change and expected to disappear. 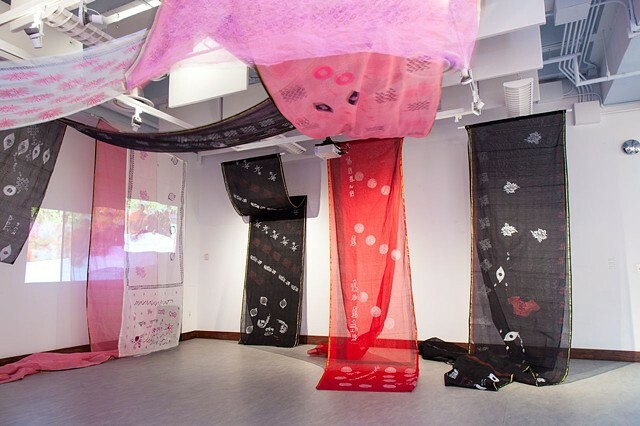 Follow upcoming events on storytellingwithsaris.com.